This is a nice duplex located in good area, close to shopping. Both units are very similar floor plans. 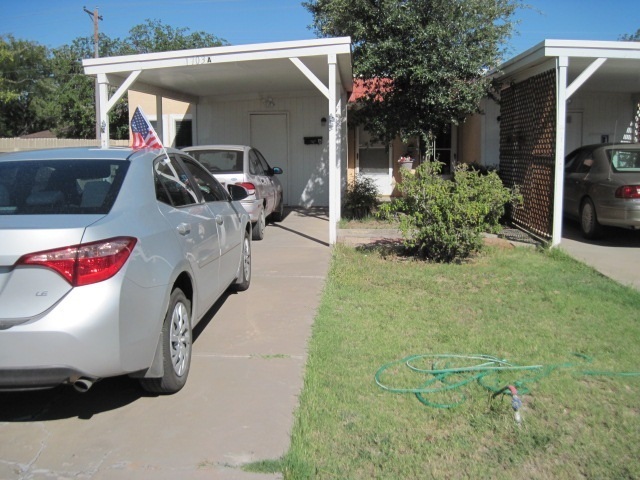 Large living areas, small kitchens, utility room, two bedrooms each, one bath. There is a small side yard and nice back yard with a shared storage building, Small storage area off carport. Call Connie to show 626 7948, must have appt. Selling Office: Re/Max First Place Realtors, Inc.